Russian food and goods shop provides the products of such farmers cheese brands as Karat, Svalio, Mlekara Sabac, Milkom. 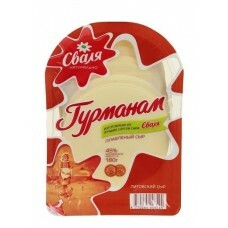 If you are looking where to buy sulguni cheese, soft fruit cheese with flavourings, cheese spread, cheesy crisps, brinzen and Lithuanian cheese, do not hesitate to shop at RussianTable. Thanks to the fast shipment to the USA, all our products remain fresh and save excellent consumptive qualities.